Watch the mayor’s monthly show featuring issues and current events. Learn more about how we’re working with the faith community to help initiative change. Every year, we recognize projects that display quality urban design qualities. With 83 percent of the vote, Carolyn G. Goodman won her third term as mayor of the city of Las Vegas on April 2, 2019. She was first elected on July 6, 2011, and her husband of 50 years and 12-year, term-limited mayor, Oscar B. Goodman, administered the oath of office. It is the only known instance of a spouse succeeding a spouse as mayor in the United States. 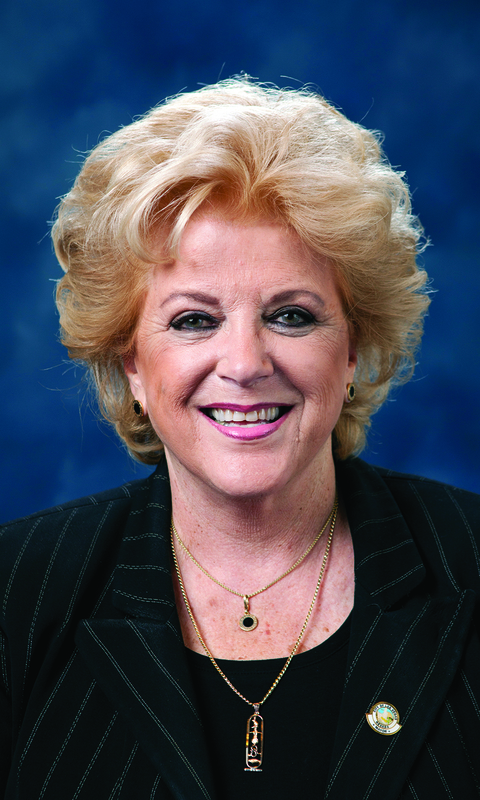 Mayor Carolyn Goodman was also handily re-elected in 2015. Among her priorities, Mayor Goodman has championed downtown development, improvement in inner-city schools, expansion of homeless resources, coordination among non-profit service providers, adoption of the Nevada film tax credit, and creation of the medical district and UNLV medical school. She represents the city on numerous boards and organizations, advocating for Las Vegas’ $44.9 billion tourism industry on the Las Vegas Convention and Visitors Authority, the Las Vegas Global Economic Alliance, the Southern Nevada Tourism Infrastructure Committee and the Southern Nevada Sports Committee. Additionally, she holds national leadership roles as a member of the United States Conference of Mayors (USCM), serving on its Advisory Board and as vice-chair of its Task Force on Education Reform, and as Chair of the Mayors’ Business Council. In June of 2013, she hosted the 81st annual gathering of the National Conference of Mayors in Las Vegas. The USCM honored her with the Mayors’ 2014 Large City Climate Protection Award. Carolyn is well known in the Las Vegas community for founding The Meadows School in 1984, Nevada’s first nonprofit, college preparatory school for pre-kindergarten through 12th grades. Carolyn planned and oversaw the entire day-to-day operations for 26 years while also raising her four children. During this time, Carolyn never had ownership of the school as it was incorporated as a 501[c] entity. Furthermore, during her 26 years in leadership, Carolyn never took a salary. She retired in June 2010. A more detailed biography including a list of affiliations and accomplishments are available below.